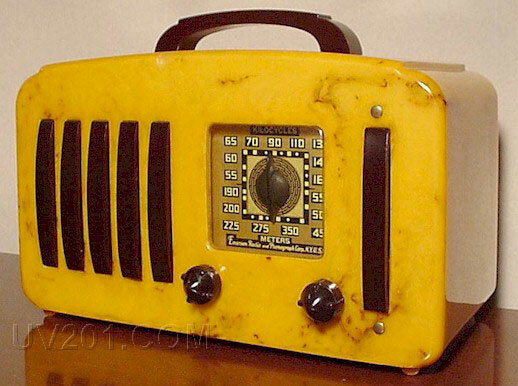 Emerson Model EP-375 Catalin "Five Plus One"
The 1941 Emerson model EP-375 Catalin-cased radio featured vertical grill bars in two groups of five and one, hence, its knickname. 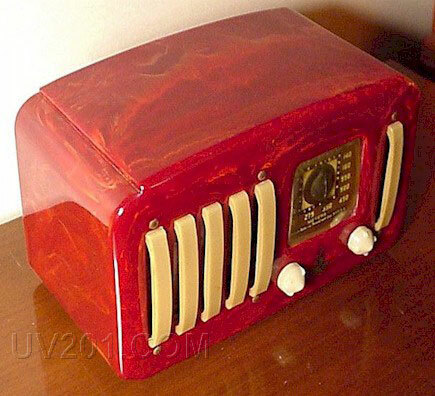 It was available in white (now butterscotch), oxblood red, green, and blue (now dark green). Some examples had handles, some did not, and later examples used brass rivets to hold the grill pieces in place (I would assume they had trouble with the glue they used). The chassis is a conventional, 5-tube design. 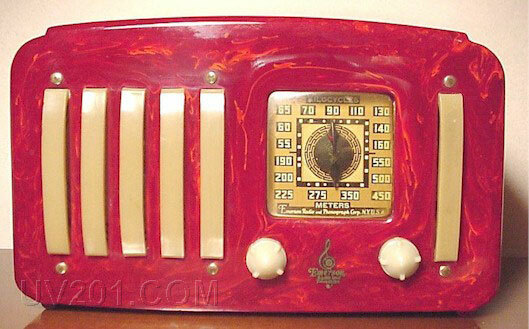 The knobs on the red radio are reproductions (poorly matched).